Informed consent is a cornerstone of ethical medicine. If patients are not notified about possible complications or of the limitations of a procedure, then they cannot intelligently make medical decisions for themselves. For this reason, Florida has passed a Medical Consent Law which governs what information must be given. Because informed consent is so important, patients can bring a lawsuit if a doctor fails to provide them with relevant information and they suffer an injury. What qualifies as “substantial” risks and “reasonable” alternatives will depend on what is accepted by those in the medical community with similar training and experience. Your doctor should also explain this information in language that is easy for you to understand. 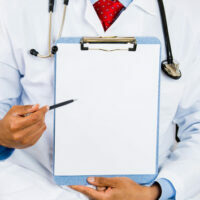 Before undergoing surgery or other treatment, patients must often sign a consent form. However, the fact that you signed a form does not mean that you gave informed consent. You can still present evidence showing that your doctor did not disclose all required information. Florida law does not require that a doctor obtain informed consent before rendering treatment in all cases. For example, a doctor who acts as a “good Samaritan” and voluntarily helps someone in distress does not need to inform the patient of risks and alternatives. As an example, a doctor who performs the Heimlich maneuver in a restaurant does not have to tell the person choking the information listed above. In most cases, however, Florida’s informed consent law applies. Frequently, informed consent cases present dueling memories about what was said during a medical consultation. If the signed consent form is missing critical information, then you have a valuable piece of evidence. Sometimes, however, the doctor might try to claim that he gave you this missing information orally, so you might need to testify about what the doctor told you before treatment. Based on our experience, informed consent cases are difficult to win. Florida’s statute states that juries can still decide the case in favor of the doctor if they believe the patient would have undergone the procedure even if given all required information. This defense is often a hurdle for our clients. As a result, you will need to present evidence that you would not have undergone the procedure if the doctor had provided information about all known risks and alternatives. For example, you might have declined a similar procedure in the past that presented the same risks and hazards. When doctors and other medical professionals fail to disclose important information, they betray our trust. At Bundza & Rodriguez, we believe that lawsuits play a vital role in improving medicine in Volusia County. To identify whether you have a valid case against a doctor or other medical professional, please schedule your free consultation with us today.